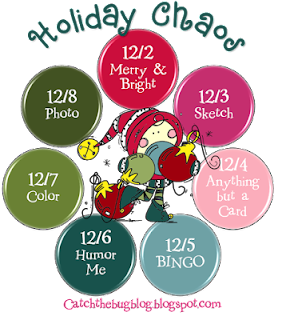 Welcome to day 3 of our Holiday Chaos.. at Catch the bug. Today is ABC Monday.. 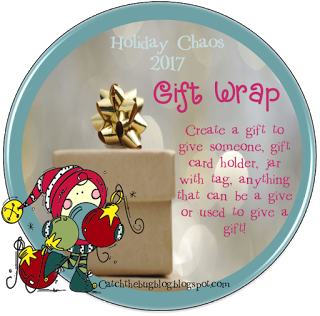 Anything But a Card.. Make a gift for someone, gift card holder, jar with a tag, gift bag.. something that you can use on a gift or as a gift to someone.. No cards. 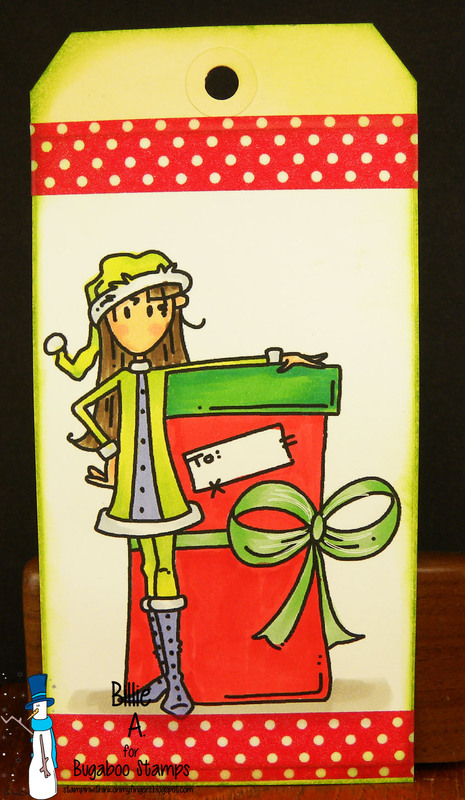 I made a tag and used the image Galz Xmas present I colored the image with copics and adhered it to a Tim Holtz tag and added Washi tape to the top and bottom. I added some Spectrum Noir Sparkle pen to her outfit. This tag will go on a gift. Beautiful tag Billie! Gorgeous coloring...love the polka dot washi tape! Thanks for joining our weekly challenge at QKR Stampede! Wonderful tag! Love Bugaboo. Thanks for playing with us at 4 Crafty Chicks this week! What a cute tag. I love your coloring. Thank you so much for joining us at our challenge at Come and Get It. I like to use tags and yours is so cute. Thank you for joining us at Brown Sugar Challenge and hope to see you again.